For more than 18 years, Luke Reynolds has immersed himself in the “art of hair”, exploring unconventional paths to develop an impactful fashion-forward style for his salon. Luke’s love and dedication to the profession has allowed him to perfect and evolve the art of hair, exploring new techniques with an emphasis on texture and movement. Our salon is a perfect blend of edge, fashion, fun and sophistication. Our stylists know beautiful. They know glamorous. They know confidence. And they know that comes from you. They listen, they understand and they use the unique Luke Reynolds methodology of cutting, styling and colouring to reflect the best you. The beauty in you. The confidence in you. 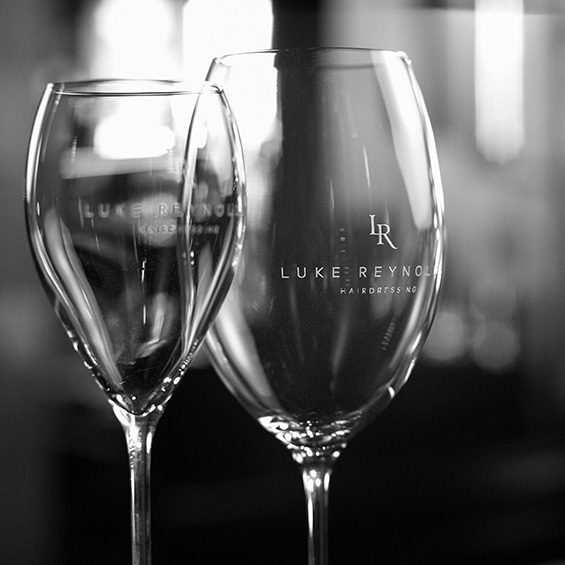 Our range of products have been hand selected by Luke to provide the best care and indulgent experience for you. We proudly use and recommend Goldwell colour, care and retail range. We stock the luxury haircare and styling brand Oribe and the brand new ANTI. We’re one of the exclusive Queensland salons to use and stock the completely unique, groundbreaking Goldwell BondPro+ colour service. 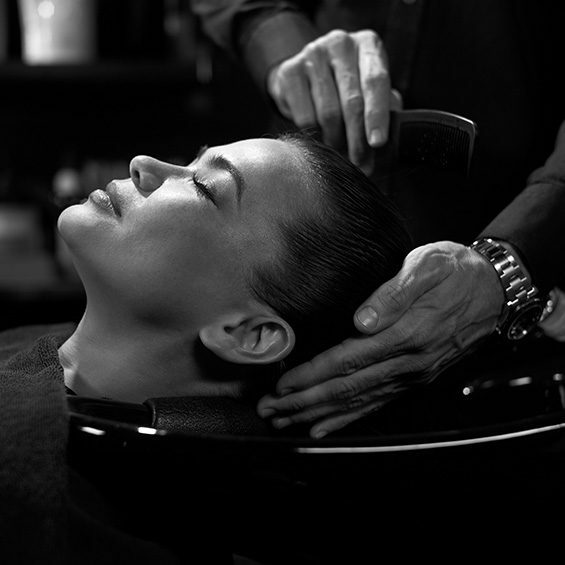 Our salon is intimate to ensure your experience is all about you. It’s serene and indulgent. It’s your private retreat. It’s your time. Time to take care of yourself. Time to be doted upon. Time to reward yourself. Celebrate your time and reward yourself with a champagne and a luxurious head massage. We pride ourselves on the expertise, experience, technical skill, and creativity of our team. We’re constantly learning, furthering our passion and pushing the boundaries. Our knowledge is reflected in our presence at major fashion shows, fashion publications and international competitions. We offer the very best in technical cutting and styling. But most importantly. All of our passion. All of our knowledge. Is centered on you. It is our mission to understand you, support you and help you achieve the look and the style that makes you feel your beautiful and confident best. We work to understand you emotionally as well as we understand your hair. Together, we will create a look you love. Our styling and finishes have been crafted from our collective experience working at high-end fashion catwalks, styling for national advertisements, and as leaders at international competitions and shows. Whether up-styling or down-styling, our creative team will find the look that perfectly matches your look, your needs and the mood you desire. We see art in everything we do. And colouring is at the centre of our art. Our team of colour specialists work with you to understand exactly what you desire, creating personal, tailored colours for you. We create deep, multi-dimensional colours that perfectly match you skin tones and ensure you feel as beautiful as you look. We believe true indulgence only comes from truly caring for you. Our treatments pamper you while reinvigorating your hair. We flood boosting proteins and moisture into your hair, revitalising and protecting. Fortifying the life of your colour and prolonging the luxurious condition. We’ve carefully assembled a team that perfectly blends expertise style and colour with care, commitment and a focus on you. This dedicated team ensures you are thoroughly pampered while you’re in our hands, and leave the salon looking and feeling your best. Working under Luke’s leadership and guidance is his talented and creative team each bring their own style, sense of individuality and experience. 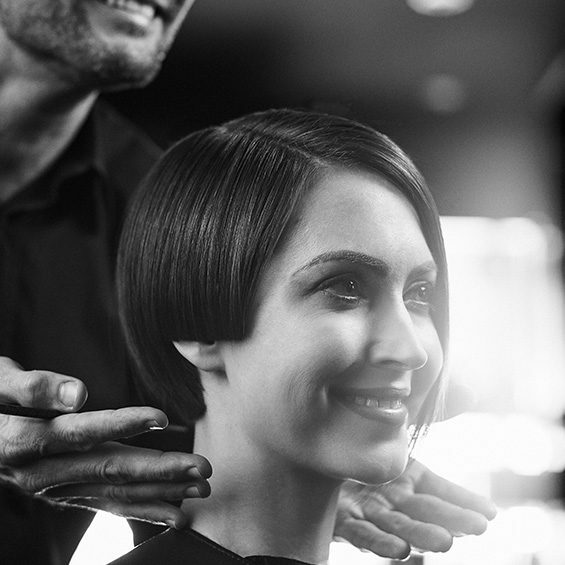 Specialising in cuts, colours and styling for special occasions, the team at Luke Reynolds Hairdressing is highly skilled and qualified in both technical and styling abilities. We are experts in interpreting cutting edge, seasonal and fashionable trends and translating them into wearable looks that meeting your individual needs. Luke has a long list of accolades stretching back to when he began his career more than 18 years ago. 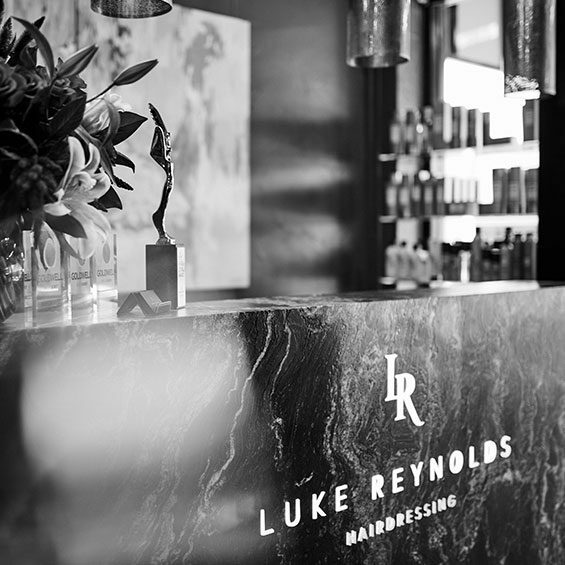 In 2007, Luke opened the doors of Luke Reynolds Hairdressing in the heart of Brisbane. His chic, boutique, high end salon quickly ascended the ranks as one of the best in the city and currently holds the Hair Expo 2017 Salon Business of the Year award. I have enjoyed the opportunity to travel the world many times delivering training, presentations, expos and competitions and immersing myself in the art of hair. A love of my craft, combined with a dedication to the profession, allows me to break down traditional barriers and transform hair into wearable fashion with an emphasis on texture and movement. 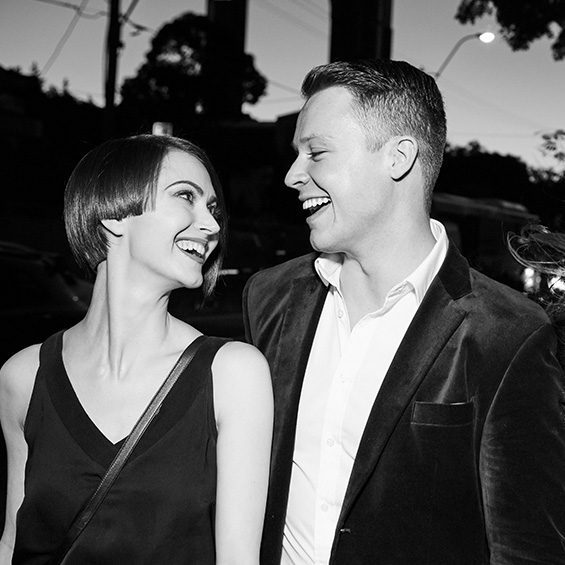 Luke has perfected his art in international competitions, in pride of place at Australia’s Hair Expo, the catwalks of Mercedes Benz fashion week, and as Queensland Director of Hair for David Jones. I have crafted beautiful hair across the globe for over 20 years. With a love of precision cutting and a flair for all things hair, my love of working with people and arsenal of skills has earned me a legion of loyal followers. My career highlights include a two-year stint leading an award-winning team at a prestigious London salon, taming the tresses of elite clients. Since joining Luke Reynolds Hairdressing in early 2013, I have relished the opportunity to advise and mentor our younger staff members. 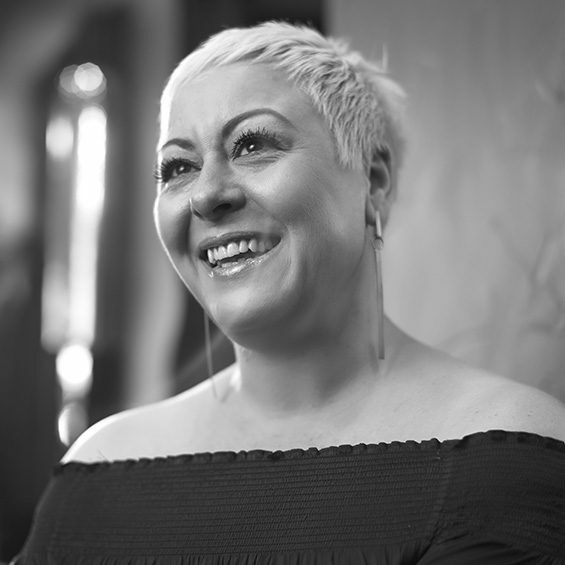 i thrive on sharing 15 plus years’ experience as an educator, taking weekly training sessions to impart some of her considerable wisdom on the hairdressing powerhouses of tomorrow. They say I bring a touch of sophisticated London flair to the our team, having worked and trained at renowned London salons for over 10 years, before the travel bug bought me halfway across the globe. Fortunately I found myself in the welcoming arms of the Luke Reynolds team. I am a colour specialist, having trained in specialised cutting and colouring for years in London and furthering my training with Luke and the International Goldwell team. I love the excitement of creativity as well as the perfectly natural and enhancing. While I’ve found a home and a family in Australia with the Luke Reynolds team and my clients, the travel and adventure bug hasn’t slowed. When I’m not in the salon, you might find me bungee jumping in Cairns (or planning a jump in Queenstown), hot air ballooning, or diving on the Barrier Reef. 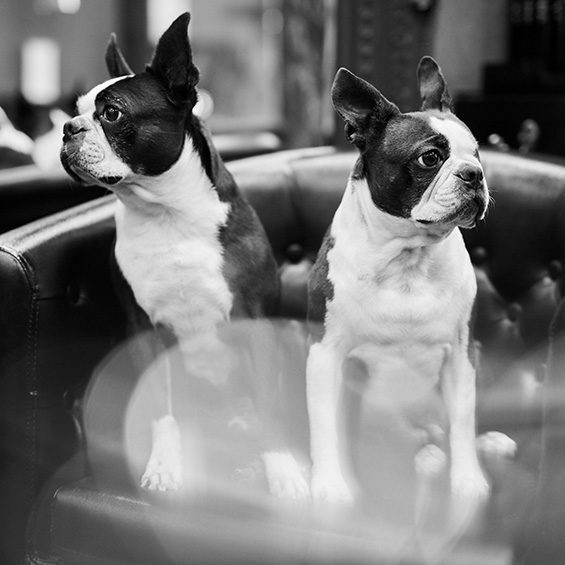 Meet our salon mascot and resident guard dogs – Bruno. Bruno is a quirky individual who keeps the salon in check. He likes long runs on the beach and keeping tabs on our brush selection. We are proud to work closely with a number of industry professional partners to ensure all aspects of our business are in keeping with trends and regulations. We take this privilege seriously and endeavour to provide the highest standards, business services and practices to you and our valued staff. Hair & Beauty Australia is our industry’s leading association – providing advice, business support and guidance for hairdressers and business owners. Our membership of HABA means we are always in line with national standards and regulations, attend forums and contribute to changes and advances within the industry. 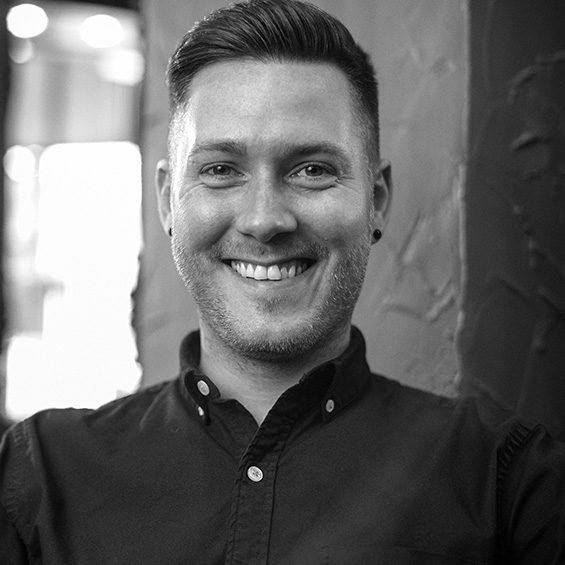 Goldwell is our exclusive colour partner and Luke was invited to become a member of the Goldwell Global Creative Team in 2015 and since then has been the Principal Trainer for the Master Stylist Programme. He regularly travels across Australia and internationally to train and educate other salons in advanced cutting techniques. Goldwell and its MBE industry association, of which we are a member, works with and assists salon owners to reach the very highest levels of business practice. Annually, MBE hosts both a national and international forum, inviting members to attend an intensive 4 day conference packed with seminars, workshops and networking events. We value our strong relationship with MBE and its commitment to the hairdressing industry and members. We are committed to reducing our carbon footprint and environmental impact. We were one of the first salons in Brisbane to subscribe to the Sustainable Salons Australia program when it became available in April 2017. This extends our existing recycling practices and increases the value of our output. We now recycle 98% of all our salon waste, including hair, chemicals, plastics, aluminium and metals. or just for a friendly chat, we’d love to hear from you. After many years in hairdressing wilderness, with a new hairdresser every few years, I finally found Luke Reynolds and his team. Luke has been cutting my hair now for about 5 years and I am always extremely happy with the results. He is a fantastic stylist, very quick and I never have to wait. The salon is the only one that I have ever been to where I can have a cut and colour in 2 hours. The team does a great job in colouring my blonde hair, never brassy always right. I am constantly being complemented on my hair, even by strangers. So thank you Luke and the team for looking after me so well.